A new report from the company's home of South Korea claims LG's next flagship smartphone, the G6, will have no friends. Or rather, no 'Friends' - the modular accessories that were talked up as a big selling point for its predecessor, the G5. It unsurprisingly turns out that people aren't interested in such gimmicks and just want the best features to already be in their top of the line smartphone when they buy it, not be upsold expensive accessories on top of that. 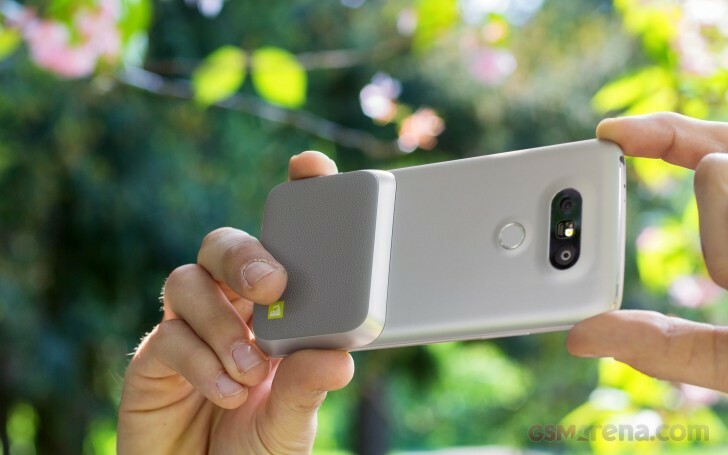 The G5 has clearly not been LG's most successful flagship offering, not even close, which might have something to do with the convoluted modular system which required taking out the battery (and thus forcing a restart of the phone) every time you wanted to connect an accessory. Motorola's at least nailed usability with its take on modularity, but that doesn't mean anyone actually wants modular accessories for smartphones in real life. With the V20 LG has already skipped the modular shenanigans, but since that's a different line some may have hoped the G6 will pick up where the G5 left off. Not a chance, according to "multiple representatives from multiple industries". Some executives who were in charge of the G5's development have even been replaced, so the company obviously doesn't want to repeat the mistakes of the past. The G6 should be in stores at some point next spring, the report says. It will come with certain unnamed features never before seen on an LG smartphone, apparently. For what it's worth, LG itself hasn't confirmed any of this. I really liked LG 360 VR. They should keep it on the G6. I would have bought Rolling Bots, but they are nowhere to be found!